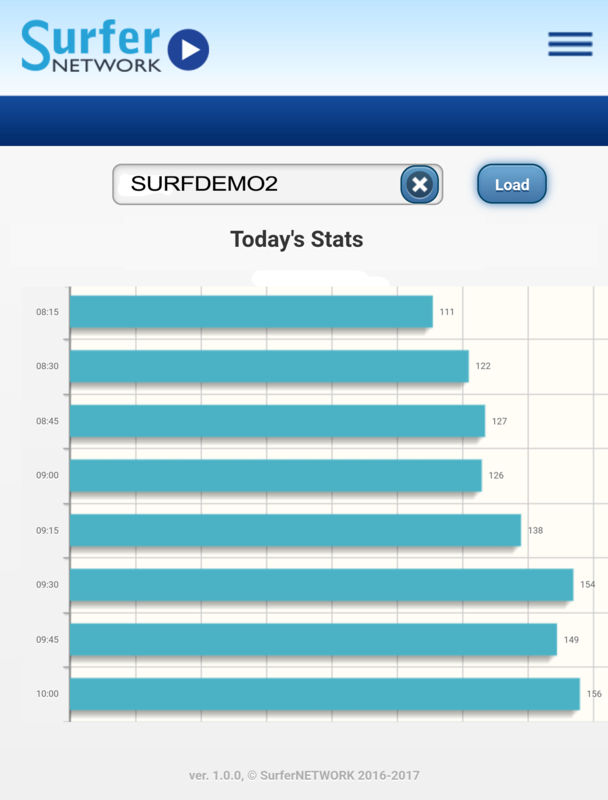 By logging into the Customer Control Panel, you can see a variety of industry standard statistics measuring your audience and traffic for Live and OnDemand Streams. We covered everything from ATH and AQH to player opens and unique/repeat visitors. 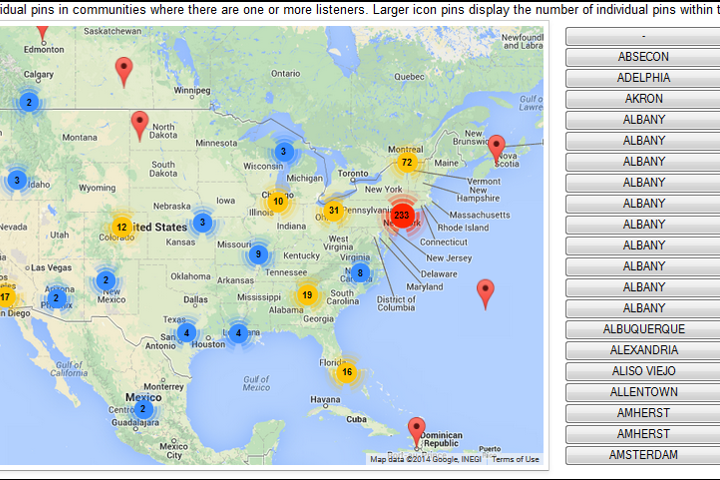 Displays listeners on the stream for every 15 minute period in the day. Raw data of these statistics can also be exported to Excel. 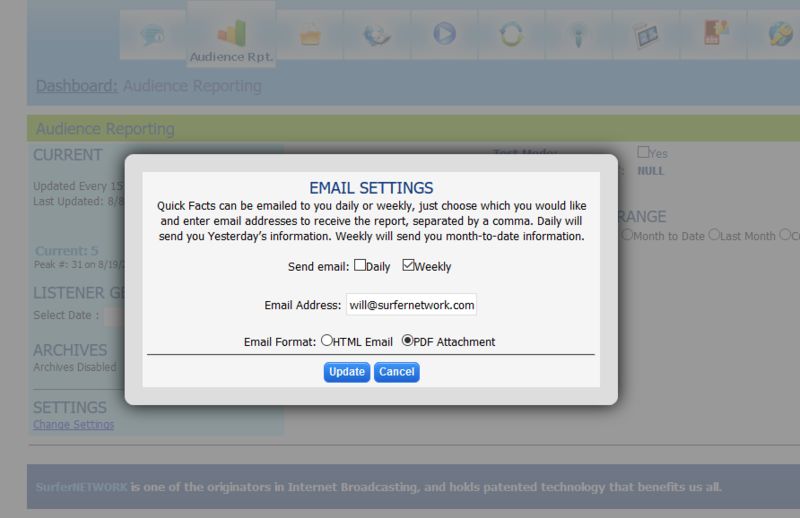 The Audience Reporting tool can be setup to send a daily or weekly email to a list of email addresses. This is a great summary of statistics sent right to your inbox. 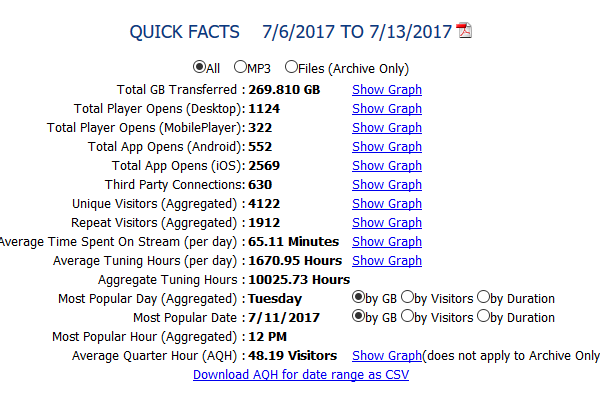 Choose any date range to view the "Quick Facts". Most of these statistics have a related graph to show you trends over time. You can save PDFs of data or graphs for any date range. View a world map of your users. Our Audience Management tool is available to help you disallow some of this traffic if you would like. Check on your audience in real time, right from your smartphone to see how many people are on your stream. 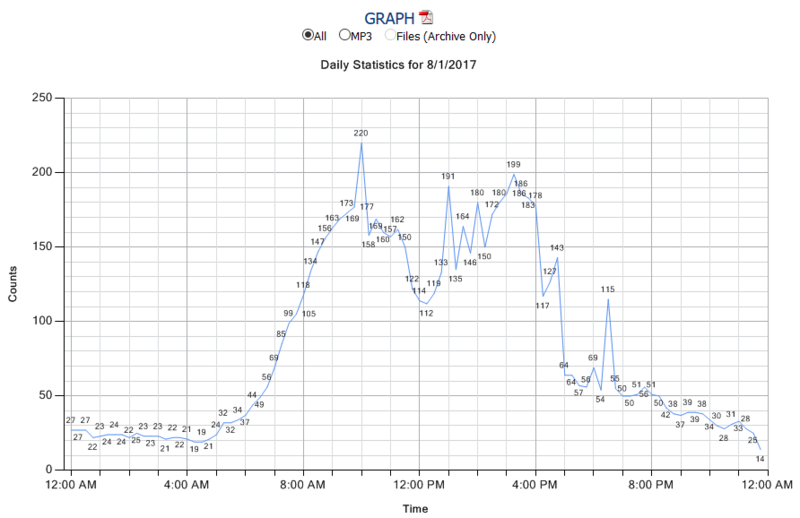 View your traffic trend for the entire day in a graph broken up into quarter hour increments.